These compelling images come from a lost age of musical innocence. 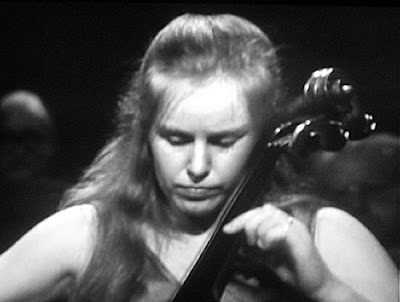 When Christopher Nupen made his film of Jacqueline du Pré in 1967 he saw his task as putting as little as possible between the musician and her audience. 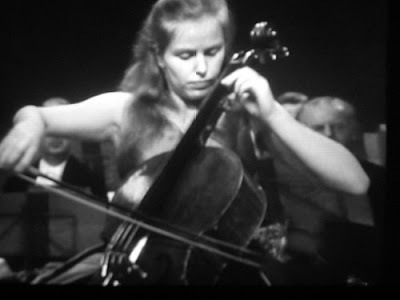 The result is one of the most powerful advocacies of classical music ever made; an advocacy that sold thousands of recordings of the Elgar Concerto and introduced millions to classical music. Disintermediation was the promise of the digital age. It happened in retailing when Amazon.com cut out the intermediaries. A direct relationship was established between online buyer and seller, and the customer became king. But the reverse has happened with music. In classical music today the commentator is king, and more and more filters are being interposed between musicians and their audience. Celebrity presenters force their way into the frame, continuity announcers explain why we should appreciate a particular work, myths and madness mean more than the score, and matching music to context is a new artform. Classical music YouTubified is the hot thing, spin is now mightier than the baton, and bloggers (including this one) position themselves as the new arbiters of what is musically cool. ... identified its constituent works only after they had been heard, so freeing the listener's mind of preconceptions. One of our practices was to hand out programme books/notes AFTER our concerts. 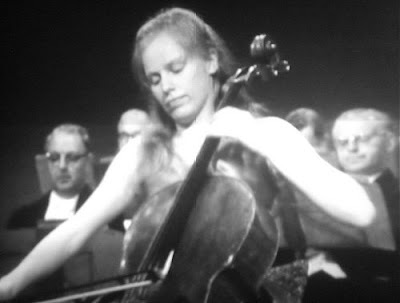 That way the listeners would open their minds to the "experience" of a piece of music, without prejudging its merits because the composer happened to be male or female, young or old, living or deceased, famous or unknown, European or non-European, etc. It was amazing how the works on the programmes were appreciated for their intrinsic musical power, rather than for the biographical or historical contexts into which one otherwise might have placed them. Countless blog posts have been devoted to ways of reaching new audiences. But surely it's as simple as 'opening their minds to the "experience" of a piece of music, without prejudging its merits'. Minimalism discovered that less music is more. Doesn't the same apply to commentary? * The 2nd Amsterdam Cello Biennial, which runs from 17 to 25 October, offers some exciting experiences for innocent ears. These include a performance of the Elgar Concerto in the same programme as the Elliott Carter Cello Concerto (Oct 22), and the first performance of Vanessa Lann's new Cello Concerto Divining Apollo, which is given by Hans Woudenberg and the Schoenberg Ensemble (Oct 23). 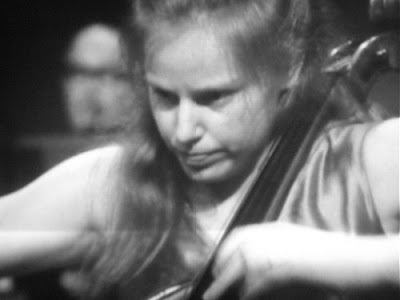 As well as the Vanessa Lann work there are world premieres of works for cello by Arvo Pärt, Oene van Geel, Dobrinka Tabakova and for ensemble by Toek Numan. This style of advocacy certainly works; as I write several of the concerts in the Amsterdam Cello Biennial are already sold out. 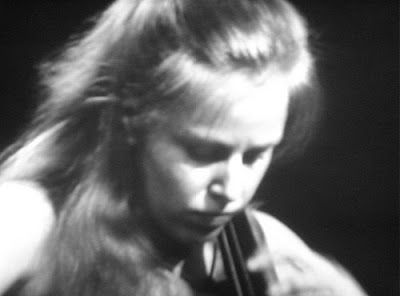 * The header images are original screen-grabs by me from Christopher Nupen's film Jacqueline du Pré - a portrait. The images are used for review purposes and the copyright resides with Allegro Films. All of Christopher Nupen's classic films are available from the Allegro films website. Now here is my first nomination for disintermediation (and a few other things). Norman Lebrecht talks about the 'unaccountable whimsy of bloggers'. I like the concept of the "innocent ear". However, to encourage audiences to participate, they need to have trust in the editorial decisions governing the music selected, i.e. will this be a worthwhile experience for me? The lowest cost way for the audience to evaluate that level of trust is to have some known quantity - a brand if you will - that is already recognised associated with the event. That almost certainly means a well known presenter/conductor/commentator/broadcaster any of which potentially runs contrary to the disintermediation you mention above. In the case of the innocent ear, I suspect we do need intermediaries. Stephen, thanks for those thoughtful comments. I agree that some form of intermediation is probably necessary in 'innocent ear' events. But the problem comes when the intermediary sees her/his role as putting their own stamp on the event, and that is exactly what is happening today. Facilitation of meetings is a skilled and very productive function. But only if the facilitator stays in the background while drawing the best out of the participants. That is what Robert Simpson did with The Innocent Ear on Radio 3 and it worked. It's also what is needed today, and the current generation of personality presenters are singularly failing to provide it. >>It's also what is needed today, and the current generation of personality presenters are singularly failing to provide it. Quite by chance we watched Murray Lerner's film Festival last night. This documentary, which covers the 1963-66 Newport Folk Festivals and which was nominated for an Oscar, just confirms what can be achieved when the distorting filters between the audience and the musicians are removed. Festival has no talking heads, no voice-overs, just performance footage linked by vox pop. Murray Lerner lets the camera linger on the performers instead of endless changes of camera angle beloved by today's directors simply because technology allows it. Another classic example of music advocacy. Available on DVD and not to be missed.